Credit schemes allow a re seller to set their own pricing tiers for sms for their clients. These rates would be visible to the sub account. 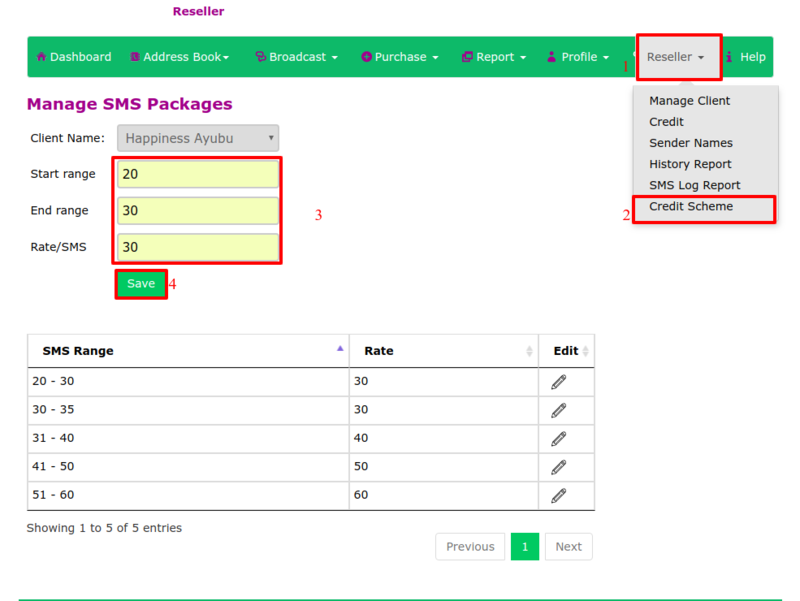 To manage SMS packages for your client, click on “Re seller” on the main menu. Select "Credit Scheme” on the drop box menu. Fill the boxes to indicate credit range for each individual client. Then you will get a notification " SMS Scheme Added" as shown below.